The menu at The Warming Hut blows the competition out of the water! The Warming Hut, which opened in the fall of 2018, is seriously what Mammoth has been waiting for. Especially locals like me, who freaking love breakfast. 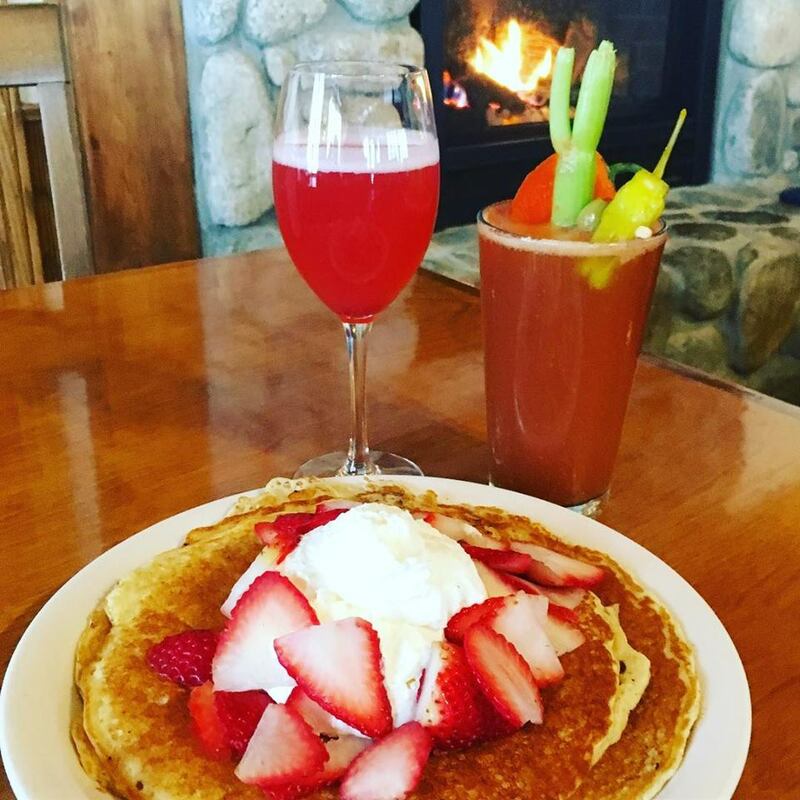 Don’t get me wrong, The Stove and the Breakfast Club are good old standbys, but if you’ve ever tried to get a table at either of those joints on a Sunday during high season, you’ll recognize that Mammoth has needed a new breakfast place for a long time. And The Warming Hut is as hip and local as can be. The adorable cottage that houses The Warming Hut used to be a run-down restaurant—the awesome outdoor seating, so rare in Mammoth, was totally wasted on the sub-par Americana restaurant before Mammoth residents Alisa and Paul Harper turned the space around. The knotty pine walls are decorated with minimalist rustic chic art, the servers are friendly and oft-tattooed, and the menu really blows the competition out of the water. Standouts: Homemade corned beef, the multiple varieties of breakfast hash, and the pancakes, which are served with real maple syrup (imported from Vermont by local entrepreneurs Jake’s Family Maple) and can be gussied up with coconut, banana, Heath bar—pretty much whatever you can dream up. And if things couldn’t get any better, The Harpers announced in December of 2018 that they got their beer and wine license, and up sprung an après ski menu (gravy fries! crispy brussel sprouts!) complete with house-squeezed orange juice mimosas and house-made cranberry juice “cranmosas.” And… and! There’s music. Local artists started playing in the new year from 3-6 on Fridays, Saturdays and Sundays. The Warming Hut is located at 343 Old Mammoth Road and is open from 7 a.m.-6 p.m. 7 days a week. 760.965.0549.